Allow me to announce this very public special honor for our own Kenneth Kamal Scott. 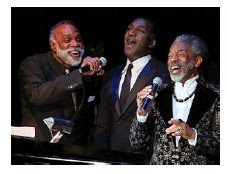 Carnegie Hall will present an All-Male tribute concert on Monday, June 23, 2014 at 8PM. Among the list of performers is Vocal faculty instructor Kenneth Kamal Scott. We are very proud of Kamal's participation in this overdue tribute concert to Black Men in the Broadway industry. Once again, our faculty members make Morgan proud!